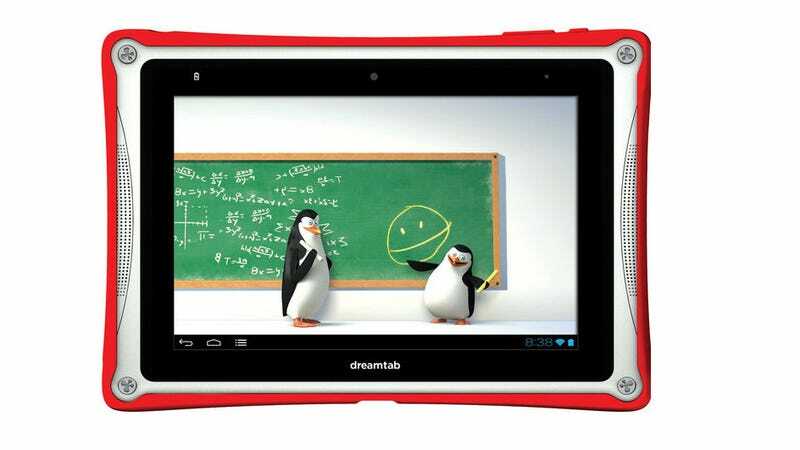 DreamWorks has teamed up with hardware manufacturer Fuhu to produce an Android tablet specifically for kids, which will be regularly updated with exclusive content from the animation studio. The announcement, made in the New York Times, reveals that an 8-inch tablet will cost "under $300" and be available in spring, with a 12-inch version "also planned." It's not clear what guts will lurk within the child-friendly frames, though there will be "a range of DreamWorks-branded accessories, including headphones, protective bumpers and carrying cases" available. While little is given away in terms of specs, though, DreamWorks was certainly keen to impress upon the Times that it will be pushing content hard. Indeed, the tablet will offer regularly updated original content based on DreamWorks characters, tailored specifically for tablets, and automatically delivered ready for consumption. According to the Times, all that content will be created in-house, and could include anything from "drawing lessons by DreamWorks animators" to "a new character moment every day of the year." There's even talk of facilitating integration with branded toys, so the tablet could be paired with action figure to unlock themed games on the tablet, say.